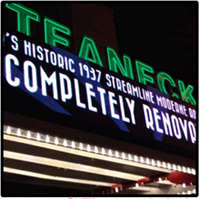 The Northeast Film Festival Horror Fest will be held December 5-6, 2018 at the Teaneck Cinemas in Teaneck, NJ. The Northeast Film Festival Horror Fest (NEFFHF) showcases top independent films from celebrated filmmakers, as well as new talent. The diverse array of films, selected by a committee, includes features and shorts from the horror and thriller genres.